Measles is a highly contagious infectious disease caused by the measles virus. Symptoms usually develop 10–12 days after exposure to an infected person and last 7–10 days. Initial symptoms typically include fever, often greater than 40 °C (104.0 °F), cough, runny nose, and inflamed eyes. Small white spots known as Koplik's spots may form inside the mouth two or three days after the start of symptoms. A red, flat rash which usually starts on the face and then spreads to the rest of the body typically begins three to five days after the start of symptoms. Common complications include diarrhea (in 8% of cases), middle ear infection (7%), and pneumonia (6%). Less commonly seizures, blindness, or inflammation of the brain may occur. Other names include morbilli, rubeola, red measles, and English measles. Rubella, which is sometimes called German measles, and roseola are different diseases caused by unrelated viruses. The measles vaccine is effective at preventing the disease, and is often delivered in combination with other vaccines. Vaccination resulted in a 75% decrease in deaths from measles between 2000 and 2013, with about 85% of children worldwide being currently vaccinated. Once a person has become infected, no specific treatment is available, but supportive care may improve outcomes. This may include oral rehydration solution (slightly sweet and salty fluids), healthy food, and medications to control the fever. Antibiotics may be used if a secondary bacterial infection such as bacterial pneumonia occurs. Vitamin A supplementation is also recommended in the developing world. Measles affects about 20 million people a year, primarily in the developing areas of Africa and Asia. It is one of the leading vaccine-preventable disease causes of death. In 1980, 2.6 million people died of it, and in 1990, 545,000 died; by 2014, global vaccination programs had reduced the number of deaths from measles to 73,000. Rates of disease and deaths, however, increased in 2017 due to a decrease in immunization. The risk of death among those infected is about 0.2%, but may be up to 10% in people with malnutrition. Most of those who die from the infection are less than five years old. Measles is not believed to affect other animals. Symptoms typically begin 10–14 days after exposure. The classic symptoms include a four-day fever (the 4 D's) and the three C's—cough, coryza (head cold, fever, sneezing), and conjunctivitis (red eyes)—along with fever and rashes. Fever is common and typically lasts for about one week; the fever seen with measles is often as high as 40 °C (104 °F). Mothers who are immune to measles pass antibodies to their children while they are still in the womb, especially if the mother acquired immunity though infection rather than vaccination. Such antibodies will usually give newborn infants some immunity against measles, but these antibodies are gradually lost over the course of the first nine months of life. Infants under one year of age whose maternal anti-measles antibodies have disappeared become susceptible to infection with the measles virus. Treatment addresses symptoms, with ibuprofen or paracetamol to reduce fever and pain and, if required, a fast-acting medication to dilate the airways for cough. As for aspirin, some research has suggested a correlation between children who take aspirin and the development of Reye syndrome. Measles is extremely infectious and its continued circulation in a community depends on the generation of susceptible hosts by birth of children. In communities that generate insufficient new hosts the disease will die out. This concept was first recognized in measles by Bartlett in 1957, who referred to the minimum number supporting measles as the critical community size (CCS). Analysis of outbreaks in island communities suggested that the CCS for measles is around 250,000. To achieve herd immunity, more than 95% of the community must be vaccinated due to the ease with which measles is transmitted from person to person. The disease was eliminated from the Americas in 2016. In 2013–14, there were almost 10,000 cases in 30 European countries. Most cases occurred in unvaccinated individuals and over 90% of cases occurred in the five European nations: Germany, Italy, Netherlands, Romania, and United Kingdom. Between October 2014 and March 2015, a measles outbreak in the German capital of Berlin resulted in at least 782 cases. In 2017 numbers continued to increase in Europe to 21,315 cases, with 35 deaths. As a result of widespread vaccination, the disease was declared eliminated from the Americas in 2016. It, however, occurred again in 2017 and 2018 in this region. In January and February 2019, Washington state reported an outbreak of at least 58 confirmed cases of measles, most within Clark County, which has a higher rate of vaccination exemptions compared to the rest of the state; nearly one in four kindergartners in Clark did not receive vaccinations, according to state data. This led state governor Jay Inslee to declare a state of emergency, and the state's congress to introduce legislation to disallow vaccination exemption for personal or philosophical reasons. The resurgence of measles in the region was caused by parents choosing not to have their children vaccinated. In May 2015, the journal Science, published a report in which researchers found that the measles infection can leave a population at increased risk for mortality from other diseases for two to three years. 1 2 3 Milner, Danny A. (2015). Diagnostic Pathology: Infectious Diseases E-Book. Elsevier Health Sciences. p. 24. ISBN 9780323400374. Archived from the original on 2017-09-08. 1 2 3 Stanley, Jacqueline (2002). Essentials of Immunology & Serology. Cengage Learning. p. 323. ISBN 978-0766810648. Archived from the original on 2017-09-08. 1 2 3 4 5 6 Caserta, MT, ed. (September 2013). "Measles". Merck Manual Professional. Merck Sharp & Dohme Corp. Archived from the original on 23 March 2014. Retrieved 23 March 2014. 1 2 3 4 "Measles (Rubeola) Signs and Symptoms". cdc.gov. November 3, 2014. Archived from the original on 2 February 2015. Retrieved 5 February 2015. 1 2 3 4 5 6 7 8 Atkinson, William (2011). Epidemiology and Prevention of Vaccine-Preventable Diseases (12 ed.). Public Health Foundation. pp. 301–23. ISBN 9780983263135. Archived from the original on 7 February 2015. Retrieved 5 February 2015. 1 2 3 4 5 6 7 8 9 10 11 12 13 14 15 16 17 18 19 20 21 "Measles Fact sheet N°286". who.int. November 2014. Archived from the original on 3 February 2015. Retrieved 4 February 2015. 1 2 3 4 Conn's Current Therapy 2015. Elsevier Health Sciences. 2014. p. 153. ISBN 9780323319560. Archived from the original on 2017-09-08. 1 2 GBD 2015 Mortality and Causes of Death, Collaborators. (8 October 2016). "Global, regional, and national life expectancy, all-cause mortality, and cause-specific mortality for 249 causes of death, 1980–2015: a systematic analysis for the Global Burden of Disease Study 2015". Lancet. 388 (10053): 1459–544. doi:10.1016/S0140-6736(16)31012-1. PMC 5388903. PMID 27733281. ↑ "Measles (Red Measles, Rubeola)". Dept of Health, Saskatchewan. Archived from the original on 10 February 2015. Retrieved 10 February 2015. ↑ Marx, John A. (2010). Rosen's emergency medicine: concepts and clinical practice (7th ed.). Philadelphia: Mosby/Elsevier. p. 1541. ISBN 9780323054720. Archived from the original on 2017-09-08. 1 2 Kabra, SK; Lodhra, R (14 August 2013). "Antibiotics for preventing complications in children with measles". Cochrane Database of Systematic Reviews. 8 (8): CD001477. doi:10.1002/14651858.CD001477.pub4. PMID 23943263. ↑ "Despite the availability of a safe, effective and inexpensive vaccine for more than 40 years, measles remains a leading vaccine-preventable cause of childhood deaths" (PDF). Retrieved 16 February 2019. ↑ "Measles cases spike globally due to gaps in vaccination coverage". WHO. 29 November 2018. Retrieved 21 December 2018. 1 2 3 4 5 6 "Pinkbook Measles Epidemiology of Vaccine Preventable Diseases". CDC. 15 November 2016. Retrieved 6 May 2018. 1 2 3 "Measles". Merck Manuals Professional Edition. January 2018. Retrieved 6 May 2018. 1 2 Biesbroeck L, Sidbury R (November 2013). "Viral exanthems: an update". Dermatologic Therapy. 26 (6): 433–38. doi:10.1111/dth.12107. PMID 24552405. 1 2 3 4 5 6 Ludlow M, McQuaid S, Milner D, de Swart RL, Duprex WP (January 2015). "Pathological consequences of systemic measles virus infection". The Journal of Pathology. 235 (2): 253–65. doi:10.1002/path.4457. PMID 25294240. 1 2 Baxby D (1997). "Classic Paper: Henry Koplik. The diagnosis of the invasion of measles from a study of the exanthema as it appears on the buccal membrane". Reviews in Medical Virology. 7 (2): 71–74. doi:10.1002/(SICI)1099-1654(199707)7:2<71::AID-RMV185>3.0.CO;2-S. PMID 10398471. ↑ NHS UK: Symptoms of measles. Last reviewed: 26/01/2010 Archived 2011-01-31 at the Wayback Machine. ↑ Gardiner, W. T. (2007). "Otitis Media in Measles". The Journal of Laryngology & Otology. 39 (11): 614–17. doi:10.1017/S0022215100026712. ↑ Fisher DL, Defres S, Solomon T (2014). "Measles-induced encephalitis". QJM. 108 (3): 177–82. doi:10.1093/qjmed/hcu113. PMID 24865261. ↑ Anlar B (2013). "Subacute sclerosing panencephalitis and chronic viral encephalitis". Pediatric Neurology Part II. Handbook of Clinical Neurology. 112. pp. 1183–89. doi:10.1016/B978-0-444-52910-7.00039-8. ISBN 9780444529107. PMID 23622327. ↑ Semba RD, Bloem MW (March 2004). "Measles blindness". Survey of Ophthalmology. 49 (2): 243–55. doi:10.1016/j.survophthal.2003.12.005. PMID 14998696. ↑ Gupta, Piyush; Menon, P. S. N.; Ramji, Siddarth; Lodha, Rakesh (2015). PG Textbook of Pediatrics: Volume 2: Infections and Systemic Disorders. JP Medical Ltd. p. 1158. ISBN 9789351529552. ↑ Griffin, DE (July 2010). "Measles virus-induced suppression of immune responses". Immunological Reviews. 236: 176–89. doi:10.1111/j.1600-065X.2010.00925.x. PMC 2908915. PMID 20636817. ↑ Rota, Paul A.; Moss, William J.; Takeda, Makoto; de Swart, Rik L.; Thompson, Kimberly M.; Goodson, James L. (14 July 2016). "Measles". Nature Reviews Disease Primers. 2: 16049. doi:10.1038/nrdp.2016.49. PMID 27411684. ↑ Ellison, J.B (1931). "Pneumonia in Measles". 1931 Archives of Disease in Childhood. 6 (31): 37–52. doi:10.1136/adc.6.31.37. PMC 1975146. PMID 21031836. 1 2 3 4 5 6 7 8 Chen S.S.P. (October 3, 2011). Measles (Report). Medscape. Archived from the original on September 25, 2011. 1 2 3 4 "Measles | For Healthcare Professionals". www.cdc.gov. Archived from the original on 23 October 2016. Retrieved 22 October 2016. ↑ National Institutes of Health Office of Dietary Supplements (2013). "Vitamin A". U.S. Department of Health & Human Services. Archived from the original on 11 March 2015. Retrieved 11 March 2015. ↑ Sabella C (2010). "Measles: Not just a childhood rash". Cleveland Clinic Journal of Medicine. 77 (3): 207–13. doi:10.3949/ccjm.77a.09123. PMID 20200172. 1 2 Perry RT, Halsey NA (May 1, 2004). "The Clinical Significance of Measles: A Review". The Journal of Infectious Diseases. 189 (S1): S4–16. doi:10.1086/377712. PMID 15106083. ↑ Sension MG, Quinn TC, Markowitz LE, Linnan MJ, Jones TS, Francis HL, Nzilambi N, Duma MN, Ryder RW (1988). "Measles in hospitalized African children with human immunodeficiency virus". American Journal of Diseases of Children. 142 (12): 1271–72. doi:10.1001/archpedi.1988.02150120025021. PMID 3195521. 1 2 Cohen BE, Durstenfeld A, Roehm PC (July 2014). "Viral causes of hearing loss: a review for hearing health professionals". Trends in Hearing. 18: 2331216514541361. doi:10.1177/2331216514541361. PMC 4222184. PMID 25080364. 1 2 3 4 5 "Measles". CDC. 2 April 2018. Retrieved 6 May 2018. ↑ Gowda VK, Sukanya V (2012). "Acquired Immunodeficiency Syndrome with Subacute Sclerosing Panencephalitis". Pediatric Neurology. 47 (5): 379–81. doi:10.1016/j.pediatrneurol.2012.06.020. PMID 23044024. ↑ Waggoner JJ, Soda EA, Deresinski S (October 2013). "Rare and emerging viral infections in transplant recipients". Clinical Infectious Diseases. 57 (8): 1182–88. doi:10.1093/cid/cit456. PMID 23839998. 1 2 3 4 5 Leuridan E, Sabbe M, Van Damme P (September 2012). "Measles outbreak in Europe: susceptibility of infants too young to be immunized". Vaccine. 30 (41): 5905–13. doi:10.1016/j.vaccine.2012.07.035. PMID 22841972. 1 2 3 4 5 6 Moss, WJ; Griffin, DE (14 January 2012). "Measles". Lancet. 379 (9811): 153–64. doi:10.1016/S0140-6736(10)62352-5. PMID 21855993. 1 2 Textbook of Microbiology & Immunology. Elsevier India. 2009. p. 535. ISBN 9788131221631. ↑ Kaslow, Richard A.; Stanberry, Lawrence R.; Duc, James W. Le (2014). Viral Infections of Humans: Epidemiology and Control. Springer. p. 540. ISBN 9781489974488. ↑ Schaechter's Mechanisms of Microbial Disease. Lippincott Williams & Wilkins. 2012. p. 357. ISBN 9780781787444. ↑ "Measles". www.cdc.gov. 2 April 2018. Retrieved 8 May 2018. ↑ Durrheim DN, Kelly H, Ferson MJ, Featherstone D (August 2007). "Remaining measles challenges in Australia". The Medical Journal of Australia. 187 (3): 181–84. PMID 17680748. Archived from the original on 2015-04-02. ↑ Friedman M, Hadari I, Goldstein V, Sarov I (1983). "Virus-specific secretory IgA antibodies as a means of rapid diagnosis of measles and mumps infection". Israel Journal of Medical Sciences. 19 (10): 881–84. PMID 6662670. ↑ Galindo BM, Concepción D, Galindo MA, Pérez A, Saiz J (2012). "Vaccine-related adverse events in Cuban children, 1999–2008". MEDICC Review. 14 (1): 38–43. PMID 22334111. Archived from the original on 2012-02-24. ↑ Helfand RF, Witte D, Fowlkes A, Garcia P, Yang C, Fudzulani R, Walls L, Bae S, Strebel P, Broadhead R, Bellini WJ, Cutts F (2008). "Evaluation of the immune response to a 2-dose measles vaccination schedule administered at 6 and 9 months of age to HIV-infected and HIV-uninfected children in Malawi". The Journal of Infectious Diseases. 198 (10): 1457–65. doi:10.1086/592756. PMID 18828743. ↑ Ołdakowska A, Marczyńska M (2008). "Measles vaccination in HIV-infected children". Medycyna Wieku Rozwojowego. 12 (2 Pt 2): 675–80. PMID 19418943. ↑ UNICEF (2007). "Global goal to reduce measles deaths in children surpassed". Joint press release. Archived from the original on 4 February 2015. Retrieved 11 March 2015. ↑ "Measles vaccines: WHO position paper – April 2017" (PDF). Releve Epidemiologique Hebdomadaire. 92 (17): 205–27. 28 April 2017. PMID 28459148. ↑ Casteels-Van Daele M, Van Geet C, Wouters C, Eggermont E (April 2000). "Reye syndrome revisited: a descriptive term covering a group of heterogeneous disorders". European Journal of Pediatrics. 159 (9): 641–48. doi:10.1007/PL00008399. PMID 11014461. Retrieved 2011-03-17. Reye syndrome is a non-specific descriptive term covering a group of heterogeneous disorders. Moreover, not only the use of acetylsalicylic acid but also of antiemetics is statistically significant in Reye syndrome cases. Both facts weaken the validity of the epidemiological surveys suggesting a link with acetylsalicylic acid. ↑ Schrör K (2007). "Aspirin and Reye Syndrome: A Review of the Evidence". Paediatric Drugs. 9 (3): 195–204. doi:10.2165/00148581-200709030-00008. PMID 17523700. Archived from the original on 2011-06-29. Retrieved 2011-03-17. The suggestion of a defined cause-effect relationship between aspirin intake and Reye syndrome in children is not supported by sufficient facts. Clearly, no drug treatment is without side effects. Thus, a balanced view of whether treatment with a certain drug is justified in terms of the benefit/risk ratio is always necessary. Aspirin is no exception. ↑ Macdonald S (2002). "Aspirin use to be banned in under 16 year olds". BMJ (Clinical Research Ed.). 325 (7371): 988c–988. doi:10.1136/bmj.325.7371.988/c. PMC 1169585. PMID 12411346. Professor Alasdair Breckenridge, said, "There are plenty of analgesic products containing paracetamol and ibuprofen for this age group not associated with Reye's syndrome. There is simply no need to expose those under 16 to the risk—however small." ↑ "Aspirin and Reye's Syndrome". MHRA. October 2003. Archived from the original on 2012-03-19. Retrieved 2011-03-17. ↑ Centers for Disease Control (CDC) (June 1982). "Surgeon General's advisory on the use of salicylates and Reye syndrome". MMWR. Morbidity and Mortality Weekly Report. 31 (22): 289–90. PMID 6810083. Archived from the original on 2011-06-29. ↑ Reye's Syndrome at NINDS "Epidemiologic evidence indicates that aspirin (salicylate) is the major preventable risk factor for Reye's syndrome. The mechanism by which aspirin and other salicylates trigger Reye's syndrome is not completely understood." ↑ "Measles vaccines: WHO position paper" (PDF). Weekly Epidemiological Record. 84 (35): 349–60. 28 August 2009. PMID 19714924. Archived (PDF) from the original on 19 February 2015. ↑ Huiming Y, Chaomin W, Meng M (2005). Yang H, ed. "Vitamin A for treating measles in children". The Cochrane Database of Systematic Reviews (4): CD001479. doi:10.1002/14651858.CD001479.pub3. PMID 16235283. ↑ Awotiwon, Ajibola A.; Oduwole, Olabisi; Sinha, Anju; Okwundu, Charles I. (June 20, 2017). "Zinc supplementation for the treatment of measles in children". The Cochrane Database of Systematic Reviews. 6: CD011177. doi:10.1002/14651858.CD011177.pub3. ISSN 1469-493X. PMID 28631310. ↑ "Complications of Measles". Centers for Disease Control and Prevention (CDC). 2018-07-02. Archived from the original on 2015-01-03. ↑ Noyce RS, Richardson CD (September 2012). "Nectin 4 is the epithelial cell receptor for measles virus". Trends in Microbiology. 20 (9): 429–39. doi:10.1016/j.tim.2012.05.006. PMID 22721863. ↑ "NINDS Subacute Sclerosing Panencephalitis Information Page". Archived from the original on 2014-10-17. Retrieved 2018-03-26. "NINDS Subacute Sclerosing Panencephalitis Information Page"
↑ Bartlett, M.S. (1957). "Measles periodicity and community size". J. R. Stat. Soc. Ser. A (120): 48–70. 1 2 Black FL (1966). "Measles endemicity in insular populations; critical community size and its evolutionary implications". Journal of Theoretical Biology. 11 (2): 207–11. doi:10.1016/0022-5193(66)90161-5. PMID 5965486. 1 2 "Region of the Americas is declared free of measles". PAHO. 29 September 2016. Archived from the original on 30 September 2016. Retrieved 30 September 2016. ↑ "Measles Data and Statistics" (PDF). Retrieved 16 February 2019. ↑ "Complications of measles". CDC. November 3, 2014. Archived from the original on January 3, 2015. Retrieved November 7, 2014. ↑ "Measles—United States, 2005". Centers for Disease Control and Prevention. December 22, 2006. Archived from the original on 13 March 2015. Retrieved 30 March 2015. ↑ "Sixty-third World Health Assembly Agenda provisional agenda item 11.15 Global eradication of measles" (PDF). Archived (PDF) from the original on 29 March 2010. Retrieved 2 June 2010. ↑ "Sixty-third World Health Assembly notes from day four". Archived from the original on 26 May 2010. Retrieved 2 June 2010. 1 2 Elizabeth Whitman (2015-03-13). "Who Is Stefan Lanka? Court Orders German Measles Denier To Pay 100,000 Euros". International Business Times. Archived from the original on 2015-04-02. Retrieved 2015-03-31. ↑ "Europe observes a 4-fold increase in measles cases in 2017 compared to previous year". www.euro.who.int. 19 February 2018. Retrieved 22 February 2018. ↑ "Measles spreads again in the Americas". MercoPress. 28 March 2018. Retrieved 4 July 2018. ↑ "Multistate Measles Outbreak Associated with an International Youth Sporting Event – Pennsylvania, Michigan, and Texas, August–September 2007". Www.cdc.gov. Retrieved 2 February 2018. 1 2 3 Gastañaduy PA, Budd J, Fisher N, Redd SB, Fletcher J, Miller J, McFadden DJ 3rd, Rota J, Rota PA, Hickman C, Fowler B, Tatham L, Wallace GS, de Fijter S, Parker Fiebelkorn A, DiOrio M (6 October 2016). "A Measles Outbreak in an Underimmunized Amish Community in Ohio". N Engl J Med. 375 (14): 1343–54. doi:10.1056/NEJMoa1602295. PMID 27705270. ↑ "Year in Review: Measles Linked to Disneyland". Archived from the original on 2017-05-19. Retrieved 2017-05-26. ↑ Clemmons, Nakia. "Measles – United States, January 4 – April 2, 2015". cdc.gov. ↑ "Measles kills first patient in 12 years". USA Today. 2 July 2015. Archived from the original on 2 July 2015. Retrieved 2 July 2015. ↑ "First Measles Death in US Since 2003 Highlights the Unknown Vulnerables – Phenomena: Germination". 2015-07-02. Archived from the original on 2015-07-03. Retrieved 2015-07-03. ↑ "Maine confirms its first case of measles in 20 years". CBC News. Archived from the original on 28 June 2017. Retrieved 28 June 2017. ↑ News, KATU. "Measles case confirmed in Portland, about 500 people possibly exposed". KATU. Retrieved 2018-07-03. ↑ "TABLE 1. Weekly cases* of selected infrequently reported notifiable diseases (". wonder.cdc.gov. Retrieved 2019-01-12. 1 2 Alltucker, Ken (February 11, 2019). "A quarter of all kindergartners in Washington county aren't immunized. Now there's a measles crisis". USA Today. Retrieved February 11, 2019. ↑ Howard, Jacqueline (January 9, 2019). "New York tackles 'largest measles outbreak' in state's recent history as cases spike globally". CNN. Retrieved January 12, 2019. ↑ Goldstein-Street, Jake (January 28, 2019). "Amid measles outbreak, legislation proposed to ban vaccine exemptions". The Seattle Times. Retrieved January 28, 2019. ↑ "Washington state is averaging more than one measles case per day in 2019". NBC News. Retrieved 5 February 2019. ↑ "Amid Measles Outbreak, Anti-Vaxx Parents Have Put Others' Babies At Risk". MSN. Retrieved 5 February 2019. ↑ Belluz, Julia (27 January 2019). "Washington declared a public health emergency over measles. Thank vaccine-refusing parents". Vox. Retrieved 5 February 2019. ↑ kashmiragander (28 January 2019). ""Dangerous" anti-vaxx warning issued by Washington officials as cases in measles outbreak continue to rise". Newsweek. Retrieved 5 February 2019. ↑ Redação do G1 (26 July 2016). "Sarampo está eliminado do Brasil, segundo comitê internacional". G1. Retrieved 26 July 2016. ↑ "Sarampo está eliminado do Brasil, segundo comitê internacional". Bem Estar (in Portuguese). 2016-07-26. 1 2 "Brasil já tem mais de mil casos de sarampo em 2018, segundo Ministério da Saúde". G1 (in Portuguese). 1 2 Saúde, Ministério da. "Ministério da Saúde atualiza casos de sarampo". portalms.saude.gov.br (in Portuguese). Retrieved 2018-08-02. ↑ "Vietnam minister calls for calm in face of 8,500 measles cases, 114 fatalities". Thanhniennews.com. 2014-04-18. Archived from the original on 2014-04-18. Retrieved 2014-04-19. ↑ "Bộ Y tế: "VN đã phản ứng rất nhanh đối với dịch sởi"". Archived from the original on 2014-05-31. ↑ Eastern Mirror. "WHO doctors in Myanmar's Naga areas identify 'mystery disease'". www.easternmirrornagaland.com. Archived from the original on 19 August 2017. Retrieved 8 August 2016. ↑ "Myanmar (02): (SA) fatal, measles confirmed". www.promedmail.org (Archive Number: 20160806.4398118). International Society for Infectious Diseases. Archived from the original on 20 August 2016. Retrieved 8 August 2016. 1 2 Furuse, Yuki; Akira Suzuki; Hitoshi Oshitani (2010-03-04). "Origin of measles virus: divergence from rinderpest virus between the 11th and 12th centuries". Virology Journal. 7: 52. doi:10.1186/1743-422X-7-52. ISSN 1743-422X. PMC 2838858. PMID 20202190. ↑ Cohen SG (February 2008). "Measles and immunomodulation". The Journal of Allergy and Clinical Immunology. 121 (2): 543–44. doi:10.1016/j.jaci.2007.12.1152. PMID 18269930. 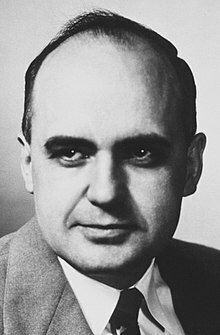 ↑ "Maurice R. Hilleman Dies; Created Vaccines Archived 2012-10-20 at the Wayback Machine". The Washington Post. April 13, 2005. ↑ Byrne, Joseph Patrick (2008). Encyclopedia of Pestilence, Pandemics, and Plagues: A–M. ABC-CLIO. p. 413. ISBN 978-0-313-34102-1. Archived from the original on 2013-11-13. ↑ Migration and Disease. Digital History. ↑ Measles hits rare Andaman tribe Archived 2011-08-23 at the Wayback Machine. BBC News. May 16, 2006. ↑ "Live attenuated measles vaccine". EPI Newsletter / C Expanded Program on Immunization in the Americas. 2 (1): 6. 1980. PMID 12314356. ↑ Rima BK, Earle JA, Yeo RP, Herlihy L, Baczko K, ter Meulen V, Carabaña J, Caballero M, Celma ML, Fernandez-Muñoz R (1995). "Temporal and geographical distribution of measles virus genotypes". The Journal of General Virology. 76 (5): 1173–80. doi:10.1099/0022-1317-76-5-1173. PMID 7730801. ↑ Offit PA (2007). Vaccinated: One Man's Quest to Defeat the World's Deadliest Diseases. Washington, DC: Smithsonian. ISBN 978-0-06-122796-7. ↑ "Measles Prevention: Recommendations of the Immunization Practices Advisory Committee (ACIP) Archived 2012-05-15 at the Wayback Machine". Centers for Disease Control and Prevention (CDC). ↑ Measles: Questions and Answers, Archived 2013-01-24 at the Wayback Machine Immunization Action Coalition Archived 2008-08-27 at the Wayback Machine. ↑ "Measles Frequently Asked Questions about Measles in U.S". www.cdc.gov. 28 August 2018. ↑ Stefan Lanka (April 1995). "HIV; Reality or artefact?". Virusmyth.com. Archived from the original on 2015-03-26. Retrieved 2015-03-31. ↑ "Das Masern-Virus 100.000 € Belohnung! WANTeD Der Durchmesser" (PDF) (in German). 2011-11-24. Archived (PDF) from the original on 2015-04-02. Retrieved 2015-03-31. ↑ "Germany court orders measles sceptic to pay 100,000 euros". BBC News. BBC News Online. 2015-03-12. Archived from the original on 2015-03-31. Retrieved 2015-03-31. ↑ Steven Novella (2015-03-13). "Yes, Dr. Lanka, Measles is Real". NeuroLogica Blog. Archived from the original on 2015-03-31. Retrieved 2015-03-31. ↑ Abramson, Brian (2018). Vaccine, vaccination, and immunization law. Bloomberg Law. pp. 10–30. ISBN 9781682675830. ↑ Bakalar, Nicholas (2015-05-07). "Measles May Increase Susceptibility to Other Infections". The New York Times. The New York Times Company. Archived from the original on 10 May 2015. Retrieved 7 June 2015. ↑ Mina; et al. (8 May 2015). "Long-term measles-induced immunomodulation increases overall childhood infectious disease mortality". Science. 348 (6235): 694–99. doi:10.1126/science.aaa3662. PMC 4823017. PMID 25954009. Archived from the original on 10 May 2015. ↑ White LK, Yoon JJ, Lee JK, Sun A, Du Y, Fu H, Snyder JP, Plemper RK (2007). "Nonnucleoside Inhibitor of Measles Virus RNA-Dependent RNA Polymerase Complex Activity". Antimicrobial Agents and Chemotherapy. 51 (7): 2293–303. doi:10.1128/AAC.00289-07. PMC 1913224. PMID 17470652. ↑ Krumm SA, Yan D, Hovingh ES, Evers TJ, Enkirch T, Reddy GP, Sun A, Saindane MT, Arrendale RF, Painter G, Liotta DC, Natchus MG, von Messling V, Plemper RK (2014). "An Orally Available, Small-Molecule Polymerase Inhibitor Shows Efficacy Against a Lethal Morbillivirus Infection in a Large Animal Model". Science Translational Medicine. 6 (232): 232ra52. doi:10.1126/scitranslmed.3008517. PMC 4080709. PMID 24739760. ↑ "The measles virus is highly infectious, but rarely deadly". NewScientist.com. Archived from the original on 5 February 2017. Retrieved 5 February 2017.